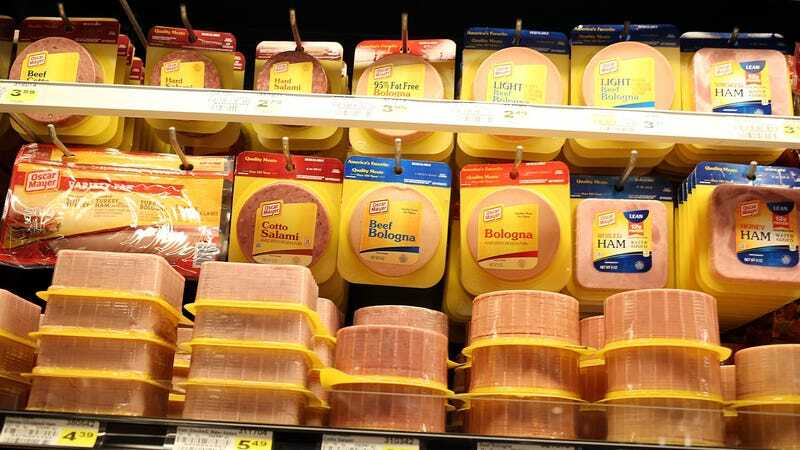 In a scenario ripped straight from our dreams, the Jacksonville Jaguars recently became the recipients of 350 pounds of free bologna. The meat was a gift from the National Hot Dot and Sausage Council, ESPN reports, following the revelation that Jacksonville head coach Doug Marrone is a big fan of bologna and cheese sandwiches. NFL coaches, they’re just like us! That, ladies and gentlemen, is a man of the people (even if it’s highly inadvisable to eat weeks-old filmy bologna). The Jaguars currently rank second in the AFC South behind the Tennessee Titans, who presumably are not enjoying a Boar’s Head boost this week. Actually, the Jaguars donated most of the Boar’s Head bologna to food banks, reserving a healthy 17.5 pounds for personal consumption. As a parting note, while we at The Takeout are not an NFL team ranked second in the AFC South, we are deli meat enthusiasts. Should any sausage councils feel like shooting us a linebacker-sized delivery of liverwurst, we’ve got the rye bread and mustard ready.